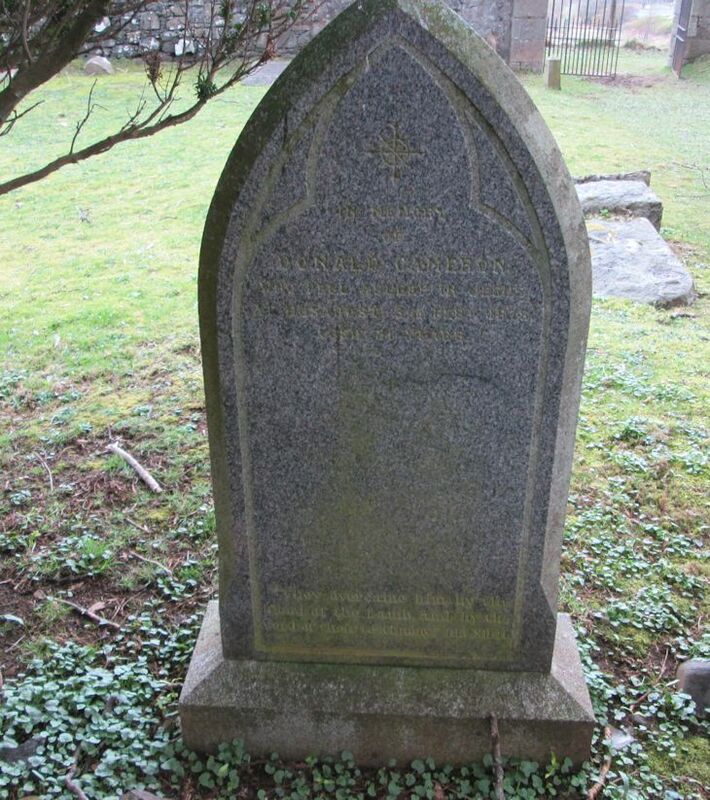 In memory/of/DONALD CAMERON/who fell asleep in Jesus/at Husabost 3rd February 1878/aged 21 years. "They overcome him by the/blood of the Lamb, and by the/word of/their testimony." Rev. XII.11.